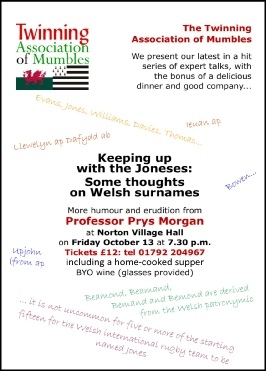 TAM’s Honorary President, the ever-popular Professor Prys Morgan, gave us a brilliant sold-out talk titled ‘Keeping up with the Joneses: some thoughts on Welsh surnames’ at Norton village hall on Friday October 13 - the fourth in our hit series of talks by experts in their field. Among much else we did not know we learned about the Jones Manufacturing Company of Swansea: so that’s where they all come from... As usual our magnificent team of cooks, Anne Winks, Lyn Jones, Isabel Hopgood and Sarah Lever, fed everyone royally, and Ann and Julian Smith deserve an OBE for services to twinning for saving us from disaster following a gas failure in the village hall kitchen. Neighbourhood Friends. The event was at Southend Gardens, and alas, Permanently Piste, as our team was designated, was defeated by the eventual tournament winners. Chalk that up as another honourable defeat, then, in our brief and glorious history! The TAM executive committee have suggested monthly pétanque sessions at 2.30pm on the third Sunday of every month, taking place at Southend Gardens as usual. The idea being that the only way to become any good at this strange but absorbing game is by practising our rudimentary skills. So make a note in your diaries – to be supplemented by reminders sent to all members nearer the time. 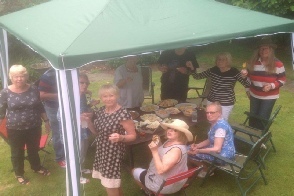 On 9 July a Strawberry and Pimms party was held in Sarah and John Lever’s garden. 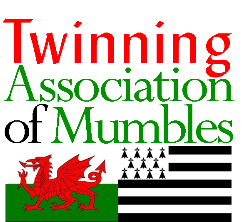 Members of Pontardawe Twinning were invited to join us and several of their members arrived. Once more the sun shone and we all enjoyed the wonderful spread that members brought.